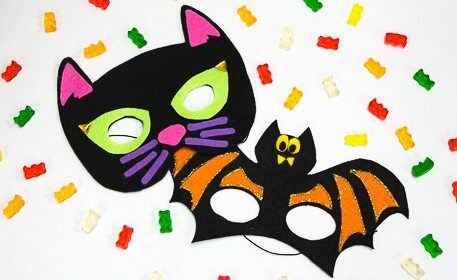 Have you ever wanted to make your own Halloween costume or a dress-up disguise? 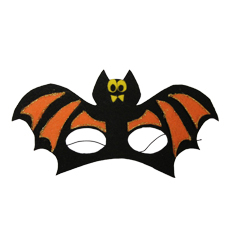 Create some simple masks to wear on Halloween or play with all year round! 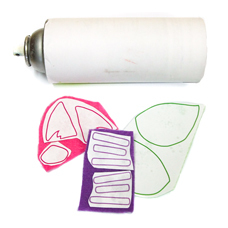 Gather your supplies and download and print the provided color templates. To download the templates, simply click the “Template” button above. 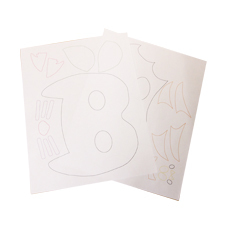 Cut out all the pieces of each template, but make sure you do not cut directly along the outline. 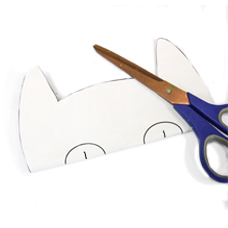 Leave about a half inch of paper between the outline and the cut edge, to make cutting the felt easier. 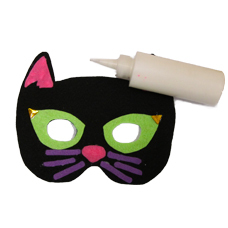 Lightly spray a layer of adhesive on the back of the cat face mask paper cut out. Lay it on a piece of black felt. 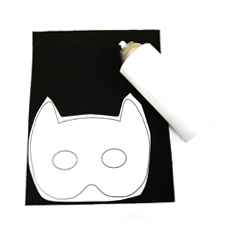 Cut out the cat face mask from the black felt, along the stencil lines. Tip: The trick to cutting felt with smooth edges is cutting through a paper backing, that’s why we made sure to leave extra edges so we could have smooth lines when cutting our stencil on the felt. 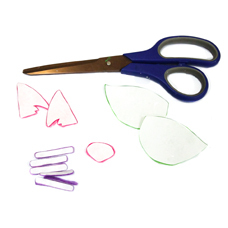 To cut out the eyes, simple fold as shown and cut a slit in the middle of each eye (where line is drawn). 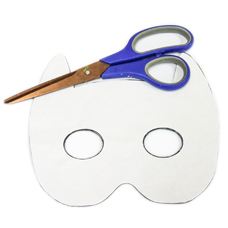 After you cut the slit, unfold the mask and cut out the inside of the eye. 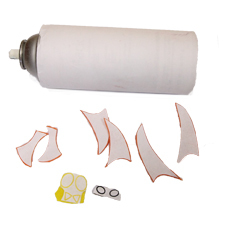 Lightly spray a layer of adhesive on the back of the remaining cat cut outs. Place them on the felt that corresponds to their outline color. 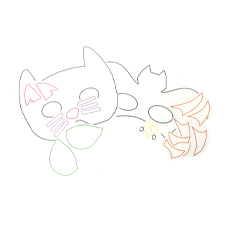 Cut out all the pieces along the colored outlines. 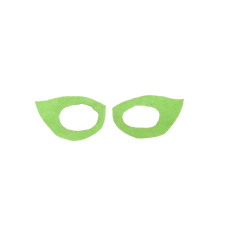 Trace the eye hole onto a green cut out, as shown. Cut out the inside of the eye using the same technique from Step 6. Repeat on the second green cut out. 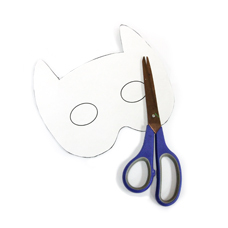 Remove the paper from all of the fleece cutouts and glue all the pieces onto the cat face mask. Add a triangle gemstone onto the corner of each eye for some sparkle. Thread the black elastic cording onto a needle. Poke the needle through the back to the front of the mask. Remove the needle from the cording and tie a knot to secure the cording. The knot won’t be visible, as it is black on black. 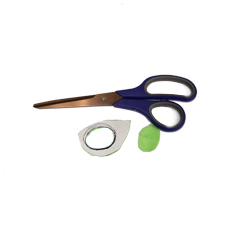 Measure the elastic cording and cut so the length is able to fit around your head. Thread the needle again and poke through on the other side, from back to front. 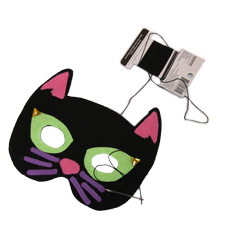 Tie a knot to secure and you’re ready to wear your cat mask! 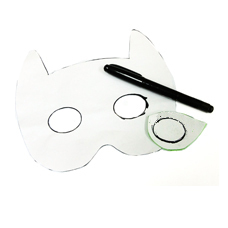 Repeat Steps 1-4 from the Cat Mask for the bat face mask. 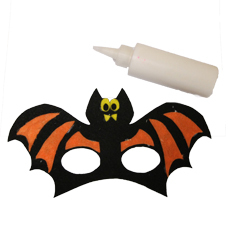 Lightly spray a layer of adhesive on the back of the remaining bat cut outs. 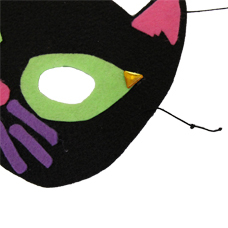 Place them on the felt that corresponds to their outline color. 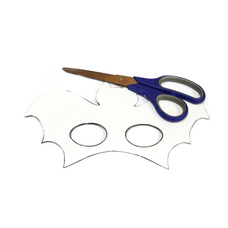 Remove the paper from the cutouts and glue all the pieces onto the bat body. 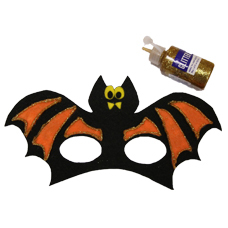 Outline the orange pieces in gold glitter glue. 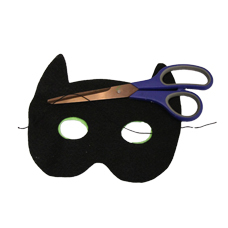 Repeat Steps 11-13 from the Cat Mask to add a string to wear your bat mask.